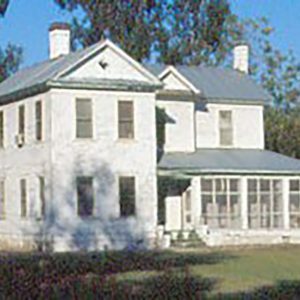 The McCollum-Murray House was constructed c. 1906 for Edward J. (d. 1942) and Margaret McCollum (d. 1949), an African American couple who moved to Greeleyville around the turn of the 20th century. The house features elements of folk Victorian and Classical Revival architecture. When Charles E. Murray (1910-1999) lost his father at the age of 12, he went to live with the McCollums as their foster son. After graduating from the Colored Normal, Industrial, Agricultural, and Mechanical College (now known as South Carolina State University) at the age of 19, Murray began a long career at Tomlinson High School in Kingstree as an English and drama teacher. In 1960 he became principal of Williamsburg County Training School, where he remained for 23 years.